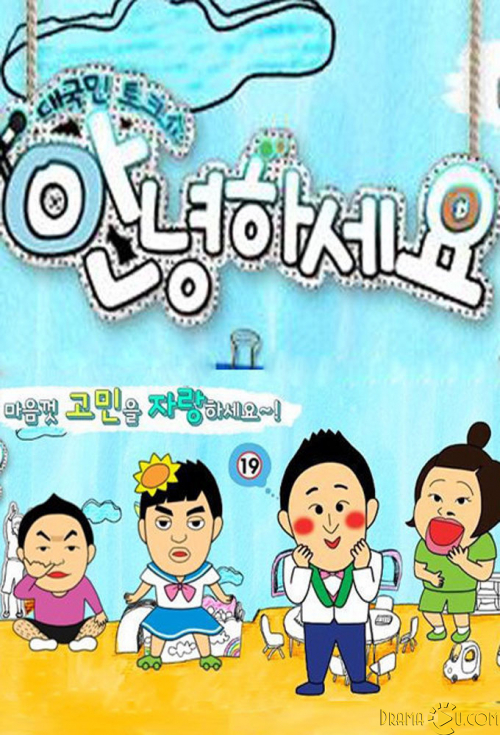 Hello Counselor is a South Korean reality show that debuted in November 2010. It is hosted by Shin Dong Yup, Lee Young Ja, and Cultwo (Jung Chan Woo, Kim Tae Gyun). Choi Tae Joon joined the show as host from August 29, 2016 to September 4, 2017. According to the show's official description through KBS, Hello Counselor is a talk show with an emphasis on regular people, regardless of age or gender, that aims to help take down communication barriers by sharing stories about life.